Presented by TD Bank Group, the 20th Annual Art with Heart, a benefit for Casey House is Canada's leading auction of contemporary Canadian art. 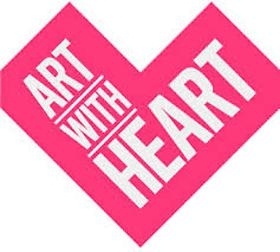 Art With Heart features an exciting curated collection of emerging & established artists all brought together to raise funds for Casey House, Toronto's HIV/AIDS hospital. This year’s 86-lot collection features work by some of the most esteemed contemporary artists working in Canada today, including works by Edward Burtynsky, Angela Leach, James Lahey, David Urban, John Scott, Tim Pitsiulak, Toni Hafkenscheid, Paul Butler, Joshua Jensen-Nagle and Diana Thorneycroft. Ticket price includes open bar and food. - through their Home Care Program for some of the city’s most marginalized people, via their Outreach Program and community partnerships. Visit Casey House's new website at www.caseyhouse.com for a commemorative video as well as more reflections about Casey House through the course of a quarter century.